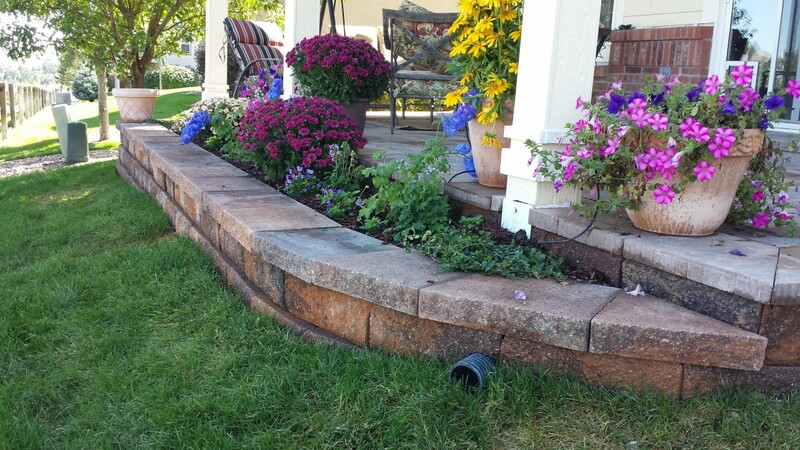 Retaining walls in Denver CO are a beautiful and necessary addition to any landscape project. Most of our neighborhoods in Denver would be unlivable without them. 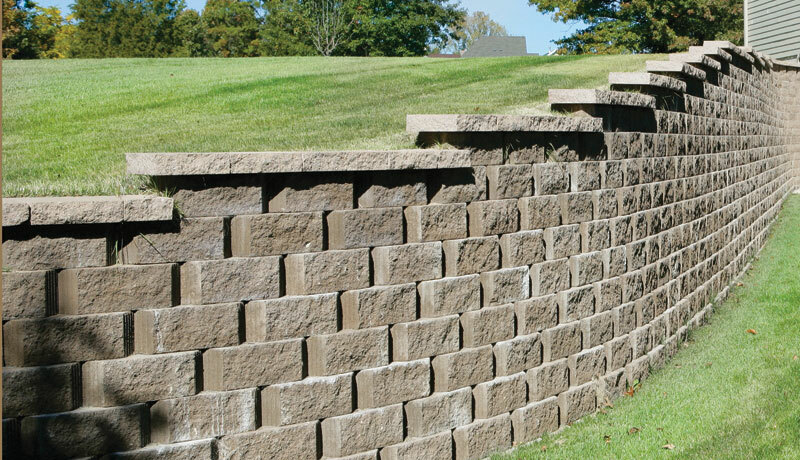 Retaining Walls provide you with the much-needed erosion control. It’s the only way we’re able to make use of all our hilly and mountainous terrain. Here’s the best part! 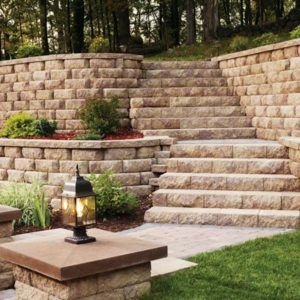 As you can see in our Retaining Wall Gallery below; they’re a necessary and Beautiful addition to any landscape project in Denver. 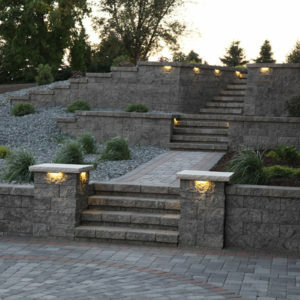 Stone Creek Hardscapes has been building retaining walls in Denver for over 25 years. 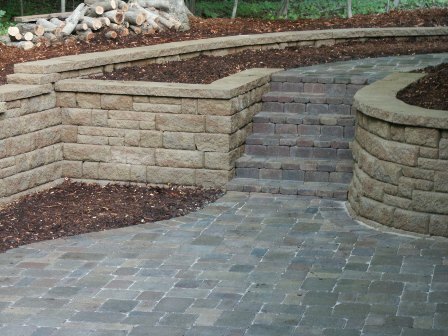 We use retaining wall blocks and materials from Pavestone, Borgert and Belgard which offer you an almost endless selection of retaining wall blocks and accessories to create curved or straight retaining walls that are both functional and beautiful in your outdoor living area in Denver. 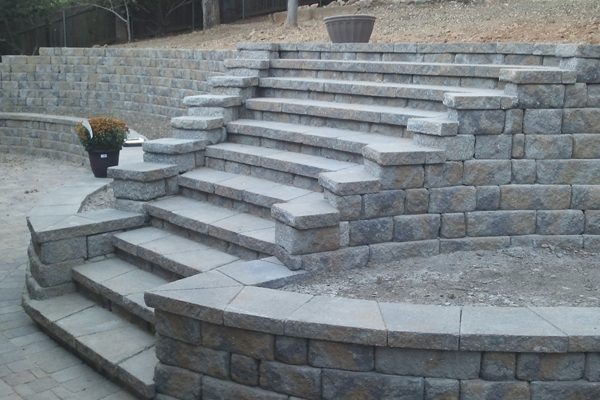 Retaining walls are a necessary addition to most outdoor living areas. More often than not, you could not stop soils in your yard from eroding, making your yard unusable. Without terracing, many yards in Denver would be unusable. 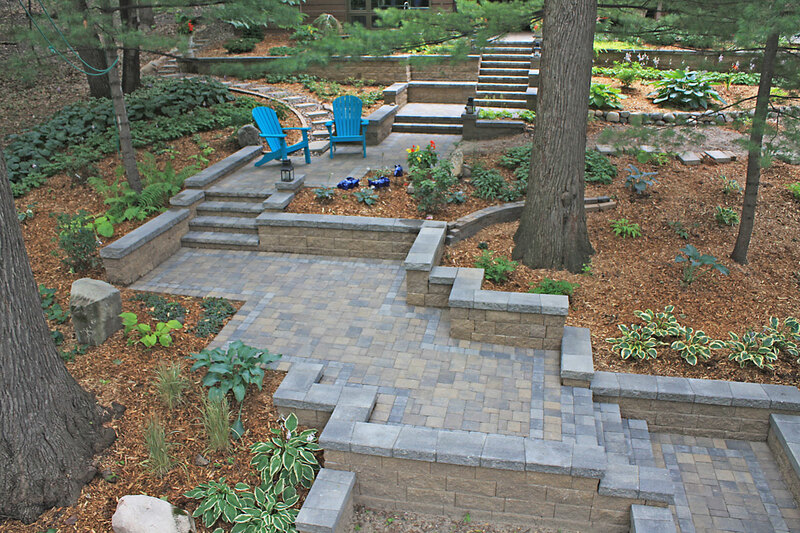 Terracing creates multiple levels of usable space, that are beautiful and add new dimensions to landscaping. 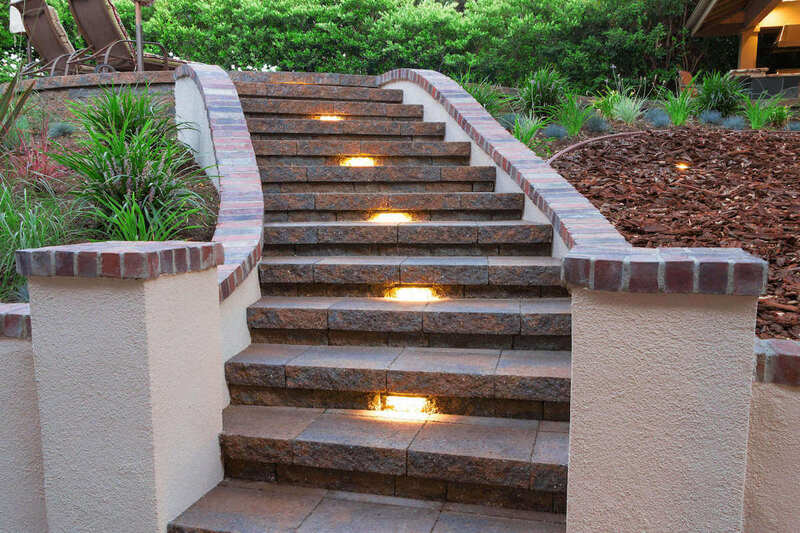 Terraces are also beautiful when connected with paver walkways in and around them. 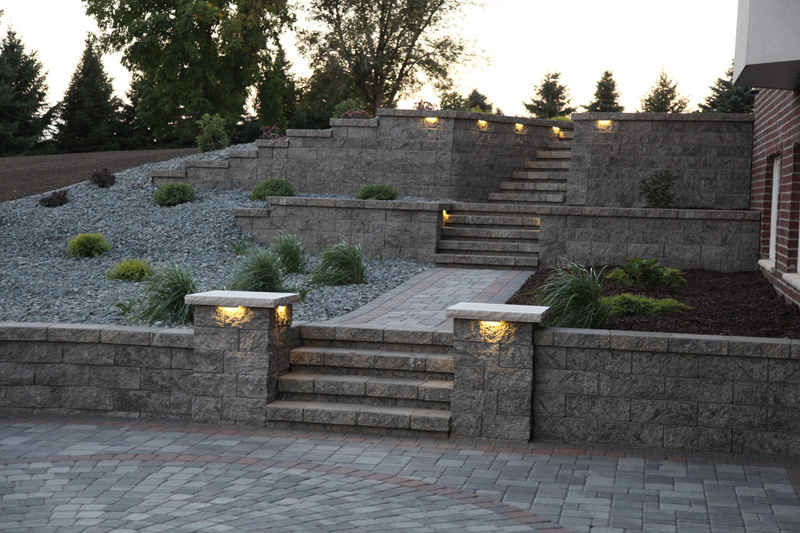 Whether you want an ornamental tree planter, or an elevated gardening bed, or you want to build a retaining wall along a hill or ridge, we’ll make sure that your retaining walls enhance the functionality and beauty of your home and yard for years to come. 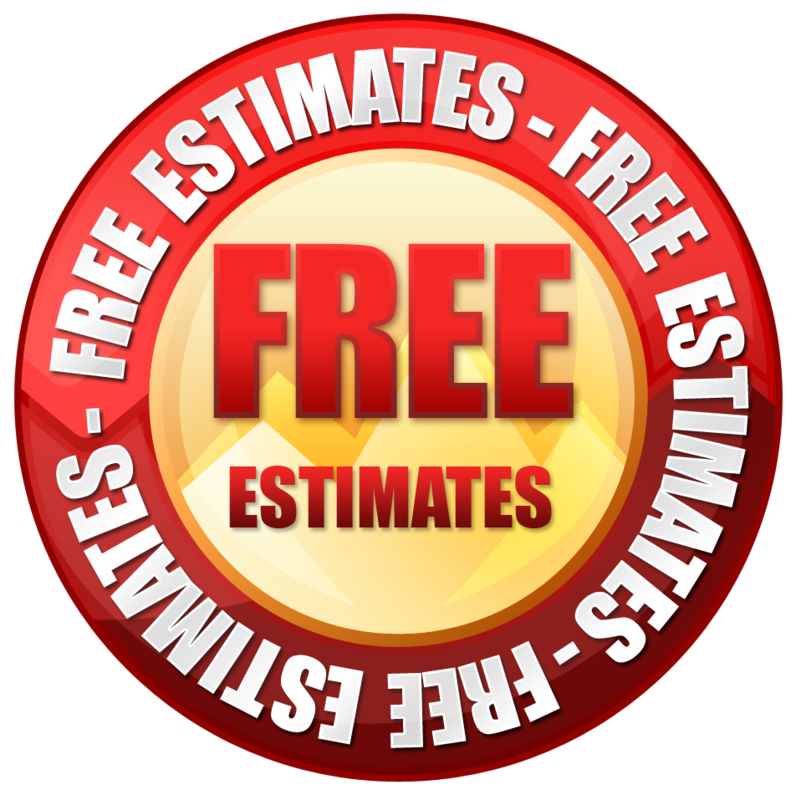 We’ll come to your home and evaluate your need for walls. You’ll get cost-effective solutions to prevent the movement and erosion of soil in raised beds, terraces and elevated areas. 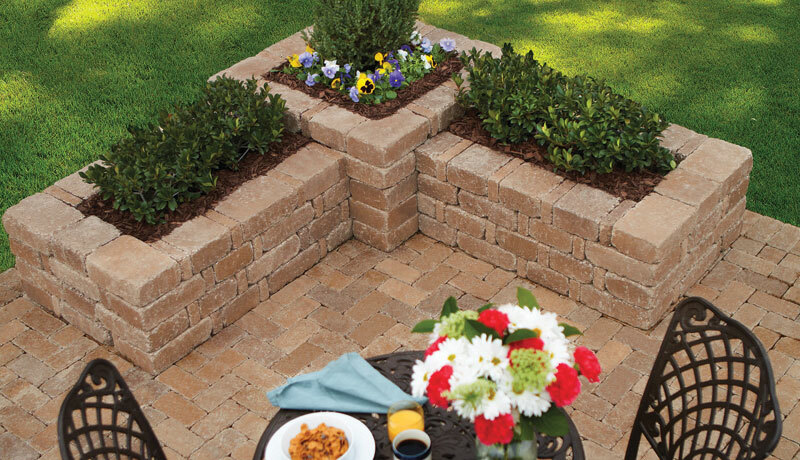 You’ll always get samples of retaining wall blocks and materials delivered to your home. 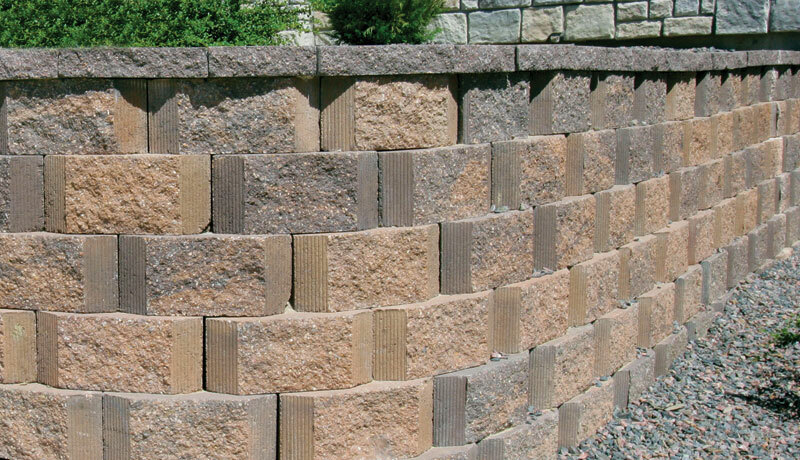 We have a large selection of colors, styles of retaining wall blocks, to ensure you get exactly what you need. 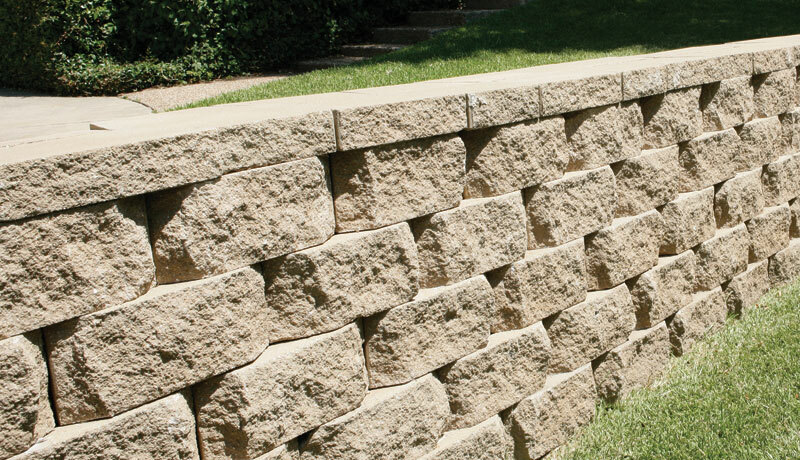 We Build Retaining Walls Right to last for Generations! Retaining wall foundations will vary in size depending on the height of the wall. The footings must be below ground level. We will determine whether or not drainage pipes are needed or simply weep holes in the wall to dispel water. Compaction of road base in footings and all fill placed behind the wall: the road base and soil behind the retaining wall must be placed in 8 inch lifts. (or layers) It must then be compacted to make sure the soil doesn’t sink. Failure to do this properly will cause the wall to fail! Some water will pass through retaining walls, but many times drainage must be provided behind the wall at ground level to make sure the wall break or allow builds in the wall. 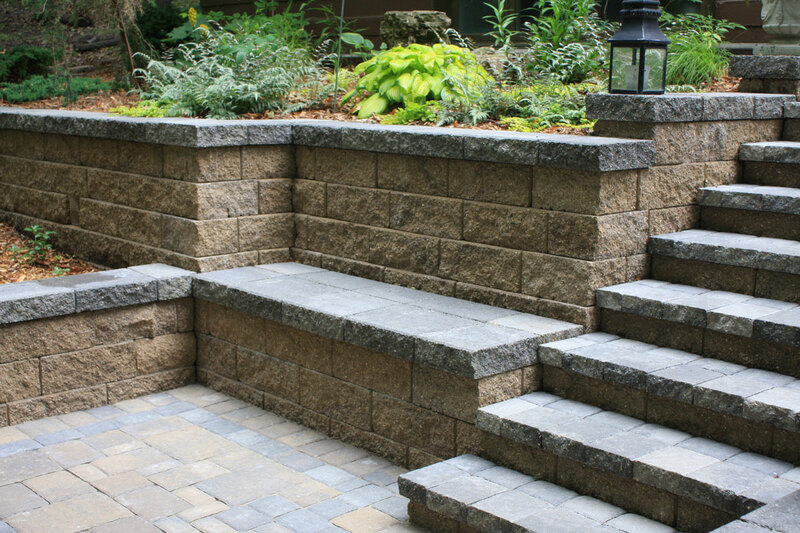 All walls designs are custom-built to provide drainage channels to prevent cracking or bulges in your retaining wall blocks..
Wall Height is Important: A rule of thumb says if you have a 4 foot high retains wall then you must plant larger trees and shrubs 4 feet back from the wall. You can plant smaller plants and borders anywhere you like. 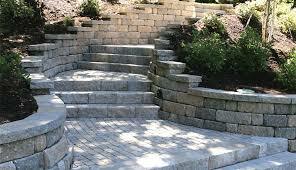 Retaining walls over 4 feet high in the Denver metro Area will usually require plans and specs by an Engineer. 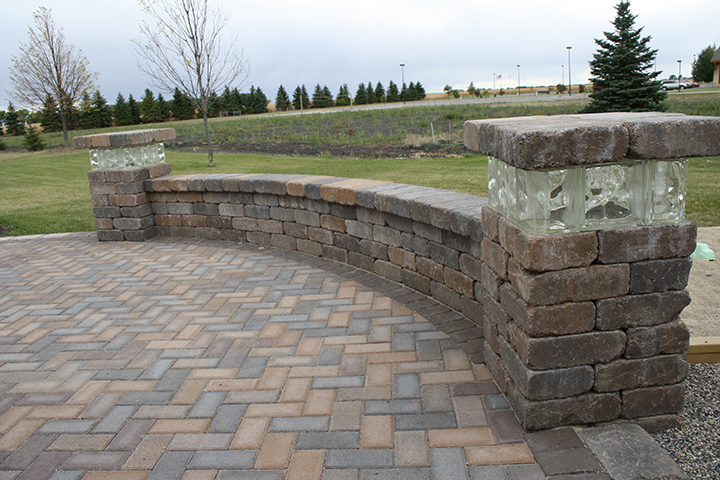 Terracing walls can help you avoid the need for Engineering: terracing retaining walls is beautiful and functional. 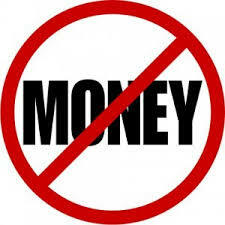 It will also save you the cost of building expensive structural retaining walls. 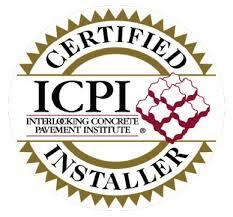 Please call or Contact Us with any questions about Retaining Walls in Denver CO.